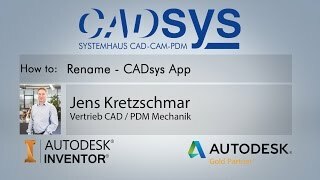 Calling the App the currently opened assembly and all referenced sub-assemblies or components are stored under a new name. The desired renaming rules can be defined comfortable and versatile by a dialog. If desired, the new files can be stored into another directory or it is possible to exclude some of the files. The new assembly remains internally consistent, all references will be adjusted. The original data remains unchanged. Drawings with the same name and in the same folder like components will also be copied to the new name. For 30 days after installation the app is available in trial mode. In trial mode the number of referenced files is limited to a maximum of 10 files. I want to get a formal version with unlimited numbler of files. How can I buy it?